Label: B&B Records. 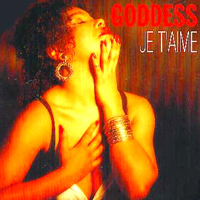 Goddess is a project of Ferdi and Rob Bolland featuring Elvira Valentine, Dutch vocalist born on January 28th, 1962. Elvira started her career as a backing vocalist for artists such as Falco and Joe Cocker. During the 80s, she was part of the duo Say When! (with Ingrid Simons). 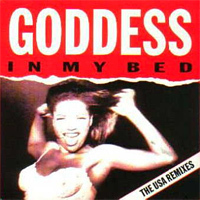 First Goddess single Sexual peaked at #74 on the Billboard Hot 100. 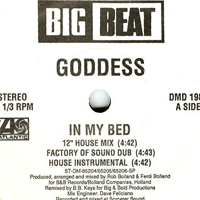 In 1993 came second single In My Bed. The same year, Elvira recorded Get Loud (Racism Beat It). 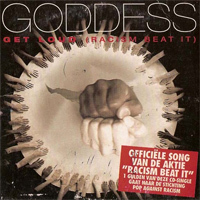 It was the official song of the Dutch 'Pop Against Racism' Foundation. Some proceeds of this single went to the foundation, whose goal was to teach children racial tolerance. This year, they opened the 'Racism Beat It' Festival in Amsterdam. Then came the ballad Je T'aime. 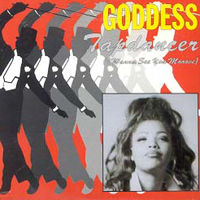 In 1994, Goddess released the superb eurodance song Spirits In The Night. 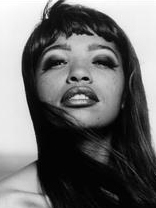 Elvira became a member of Club Risqué with Daryl White, together they released in 1996 the single Beethoven Was Black. Sadly, Elvira passed away in 2002. She was only 39.